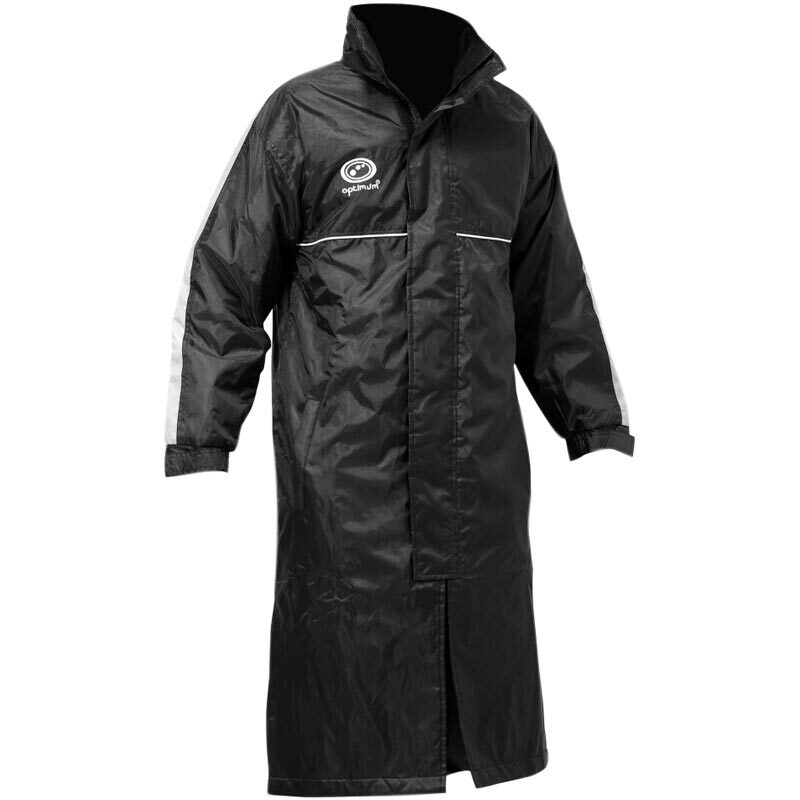 The Optimum ® Sub Jacket is a thermal coverall designed to lock in warmth and keep out windchill in the harshest winter weather. Full length hook and loop fastening down the front makes taking off the sub jacket easy between games. Fold down collar helps keep out wind and 2 outer pockets help keep hands warm. Heavyweight quilted 4oz showerproof nylon. Full length hook and loop. Hook and loop wrist adjustment. Bought this for my daughter. Recently reffing at several rugby festivals so needed between games for when the weather is inclement. Proved fit for purpose. Lightweight, warm,showerproof and packs down to a small bundle to fit in her kit bag. Easily laundered. Much cheaper than other better known brands. Would recommend product but cant comment on longevity yet, but if its a good as her old subsuit which we've now passed on to the u15s girls at our club then I reckon it will be fine! These coats are really good value for our under 12 rugby team. Wind proof, waterproof, good quality and plenty of room to grow. They were delivered on time and ordering was very straightforward. I contacted Newitts for advice in sizing and they sent further information regarding length which proved very helpful. Would definitely order from them again. 5 out of 5 Everyone wants one! Great bit of rugby kit, everyone wants one now they’ve seen my son’s! Warm and practical ?? Jacket is brilliant and fit for purpose. Team loves them. A good, solid product and value for money that has been well received by my bench players this past couple of months. The suits needed replacing due to zip failure and as this jacket simply uses hook and loop closure, it is easy to get on and off quickly. The length means little or nothing is lost by not having legs like the suit. If I was to criticise the jacket, maybe I could say that a simple hood would be a good addition. Bought for our U14 rugby boys, keeps them dry and warm, easy to get on and off and easy to wash and dry for the next game. Bought these for our U14 rugby team and they are fabulous, easy to get on and off and easy to wash and dry for the next game. Highly recommend. I bought 3 of these as a present fro the team my son plays for and the boys are thrilled with them. These are really good. They are not that thick but they are surprisingly warm. Prevents our subs getting freezing waiting on the sidelines and makes a difference when they are brought on. Stitching is really good for a product this cheap the team is very pleased with them. Perfect for the cold months that lie ahead.